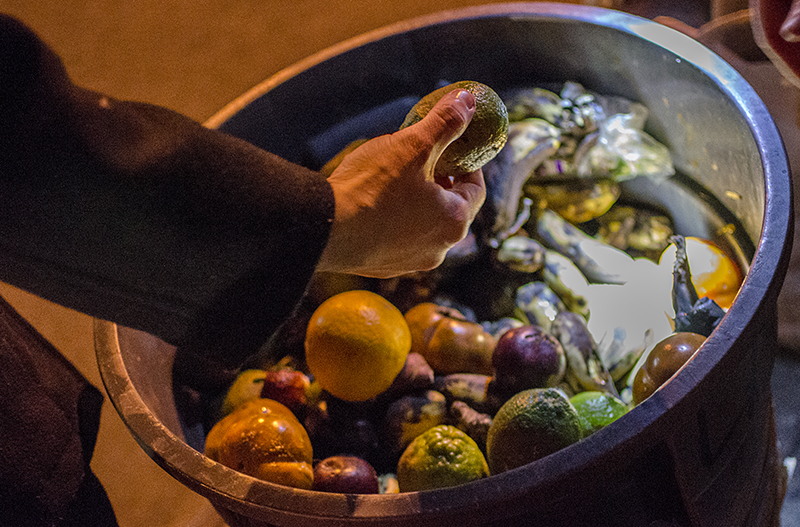 On Wednesday, February 20, 2013, the uptown freegan group found a bucket full of fruits and vegetables on the side of the road in Washington Heights. Photo by Philomena Bubaris. The term “freegan” combines the words “free” and “vegan.” Freeganism is about more than food. Its adherents describe it as an anti-capitalist, environmental action that challenges America’s endless consumerism. Freegans avoid participating in what they view as a destructive and wasteful modern economy. That means dumpster diving, bike riding and squatting instead of shopping at supermarkets, driving and paying rent. In her capstone project, Freeganism: Dumping Consumerism, Philomena Bubaris follows groups of Freegans across New York City to better understand the lifestyle.